Even Flat Stanley is concerned about this uncovered hole on the Sunnyside parkway. There's usually concrete covering it, but it's either been removed or collapsed into the hole, leaving a very deep dangerous vent. It's on the south side of Sunnyside between Clarendon and the alley, next to the empty parking lot that's part of the Maryville property. If you walk that way, take precautions. 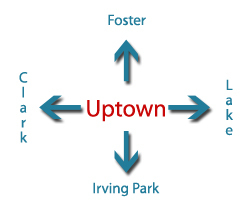 It's especially worrisome because it's so close to Clarendon Park, on a route that kids take to get there. 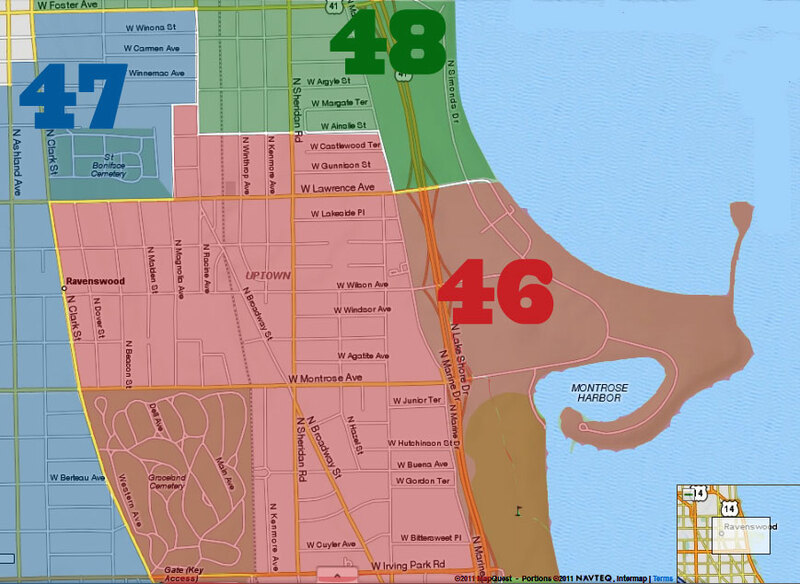 The city and the 46th Ward alderman's office have been notified, so we're hoping crews get out there to make it safer. In the meantime, be careful if you are walking in the area. 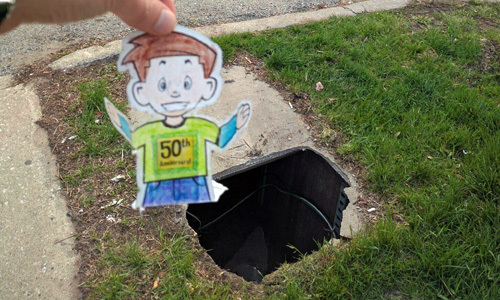 I thought your image was meant to convey "Timmy fell in the well!"